There is an incredible synchronicity between the events around a planet’s discovery and world events that occur around that time. Uranus, planet of revolution, was discovered in 1781, concurrent with revolutionary activity in the fledgling United States, in Haiti, in France, and the Industrial revolution in Britain. Neptune’s discovery in 1846 witnessed the rise of spiritualism, seances and a more spiritual approach to religion (all aspects of Neptune). 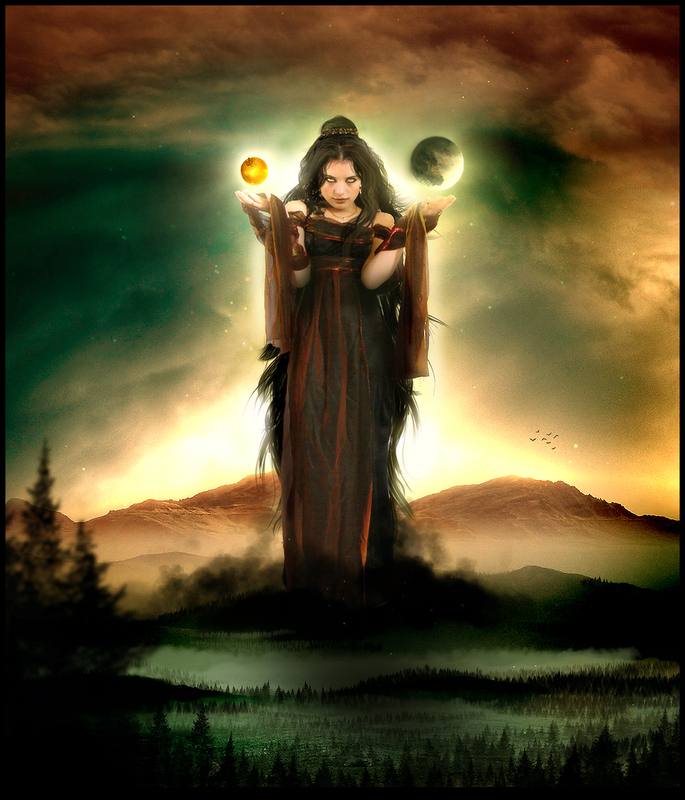 The planet Eris was discovered in 2006 and named after the Goddess of Discord. In mythology Eris, hurt because she wasn’t invited to the wedding of Peleus and Thetis, tossed a golden apple inscribed “to the fairest” into the wedding party, sparking a battle of egos that resulted in the Trojan War. The tenth planet is aptly named, because her discovery led to a great deal of discord and turned the world of astronomy on its ears and led to the declassification of Pluto. Now Eris, Pluto and Ceres all rule jointly in their new classification as “dwarf planets.” has a great assortment of stories from the myths about the nature of Eris from which the stories below have been taken. The group that calls itself the Islamic State sprang in the ashes of the war in Iraq – in fact, its original name was the Islamic State in Iraq. Without the tight controls Saddam Hussein kept over sectarian violence, the country exploded into sectarian (Sunni/Shiite) violence which was only inflamed by the presence of the US military. Eris was discovered in January 2005, and shortly thereafter Iraq escalated into full-scale civil war. This civil war was the breeding ground for the leaders of the group now known as the Islamic State. Still, the group was limited in scope until the astrological square (90 degree aspect) between Uranus and Pluto began to exert its influence in 2010 and 2011. Uranus stimulates radical activity, especially since it is in Aries which tends to be aggressive and more warlike. Pluto is in Capricorn, representing the destruction (Pluto) of established governmental forces (you can read more about this in the sidebar of this blog). As a revolutionary fervor swept the globe in 2010 and 2011 during the beginnings of the Uranus/Pluto square, breaking down political dictatorships in Egypt and Syria, the Islamic State began to spread. Its eruption in Syria in 2013 coincided with the peak of the Uranus/Pluto square. I believe that Nature and Universal Intelligence is always striving to achieve balance, but that balance cannot be achieved as long as political forces interfere in the evolution of human society and this is particularly true when the political forces do not understand the societies with which they are interfering, such as what occurred during the Iraq war. And now Eris is wreaking her revenge along with her children, Lawlessness, Fighting, Battles, Grievances, Disputes and Murders. Eris does have a positive side – she stimulates competition among mortals so that they can each strive to be their best. In that aspect she emulates Saturn, who instills self-doubt in the psyche so that we can strive to overcome that doubt through success and achievement. However, competition all too easily turns into warfare as we have recently seen. I always try to look for light in the darkness, but I am concerned that the attempt to rectify a thousand years of wrongs will have global implications that will affect all of us. But in the midst of chaos and destruction we each have the individual choice to bring the light of consciousness into our own lives, and to then shine that light into darkness , wherever we may find it. Wow. Three fine young Islamic students were murdered in cold blood practically in your backyard in Chapel Hill and this is the best you can do? This is disgraceful! You should be ashamed. This sort of heartless religious intolerance is what is sorely wrong with this world. People also can’t believe every account offered up by the New York Times. There’s no love lost for Muslims there. Agendas are agendas. And false flag operations and manufactured events are designed to fool and entrap the unsophisticated and naive. Dawn, your comment was harsh and unpleasant to read. Lynn is writing about astrology and she is not making a judgement one way or the other about Muslims or any other religion. As long as I have been reading her blog (and that’s a long time) I have never known her to be anything but levelheaded and fair. Her posts analyze events, they do not preach. She also steers clear of vitriol and drama, so people who are looking for those things should turn their attention elsewhere. Thank you Cimbalok – I greatly appreciate your stepping in here. You said this better than I could myself. I considered deleting this comment but I think it speaks for itself. It is always my goal to try to understand human behavior rather than judge it. I’m actually writing on the Chapel Hill event today from an astrological perspective.